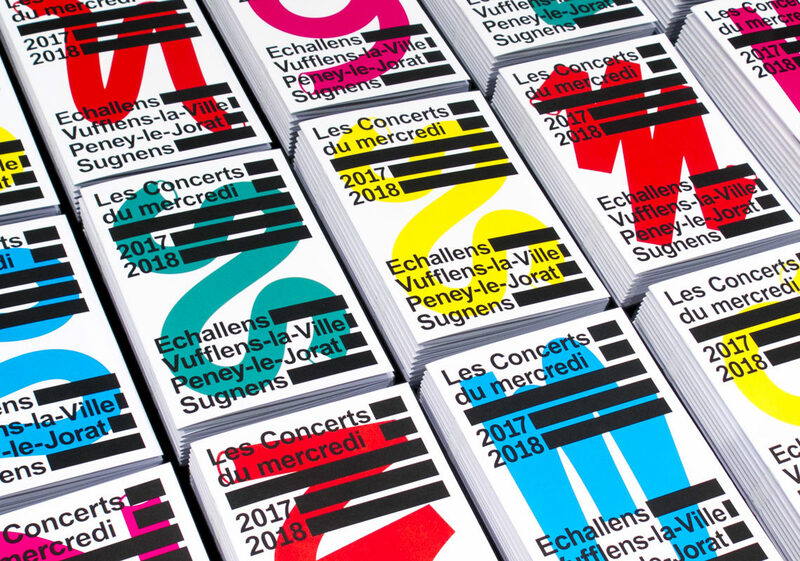 Visual identity for the communication 2017-18 of “Les Concerts du mercredi”, Vaud. 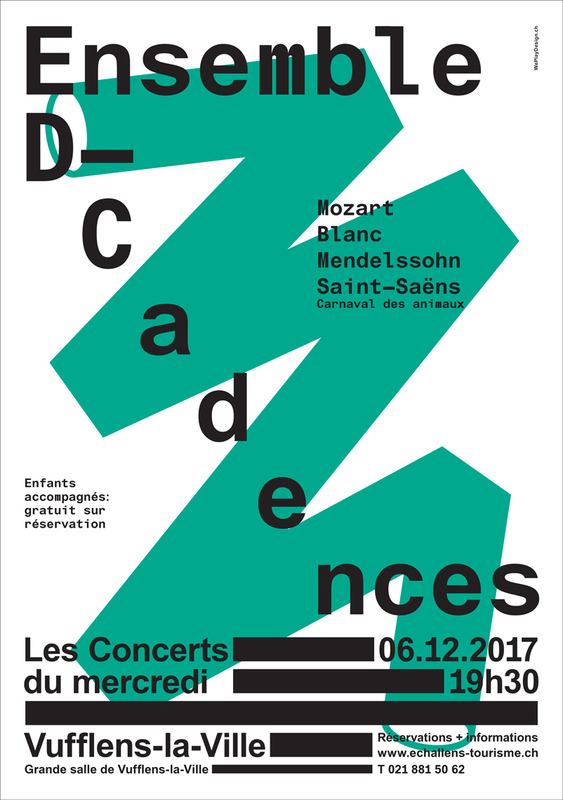 “Les Concerts du mercredi” organization offers classical music concerts to an eclectic audience. 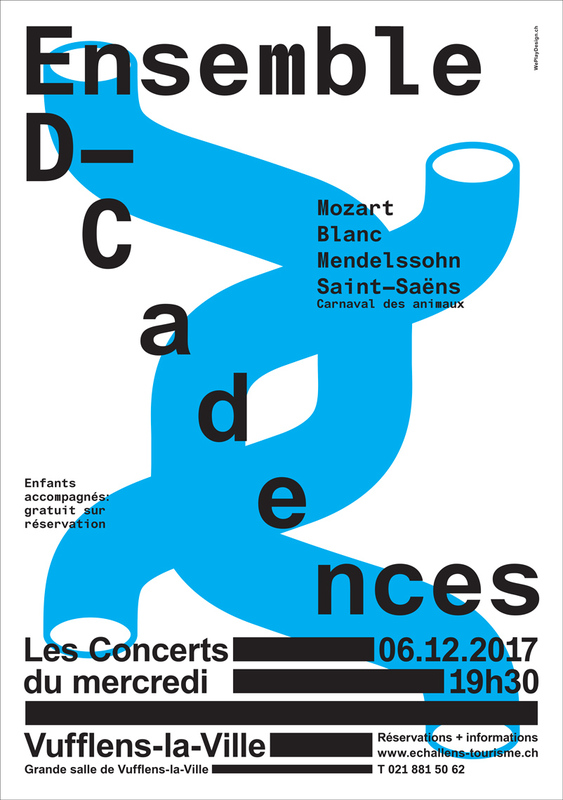 Unlike a musical recording, the conditions of space and time (condition of space-time ) make each performance unique. 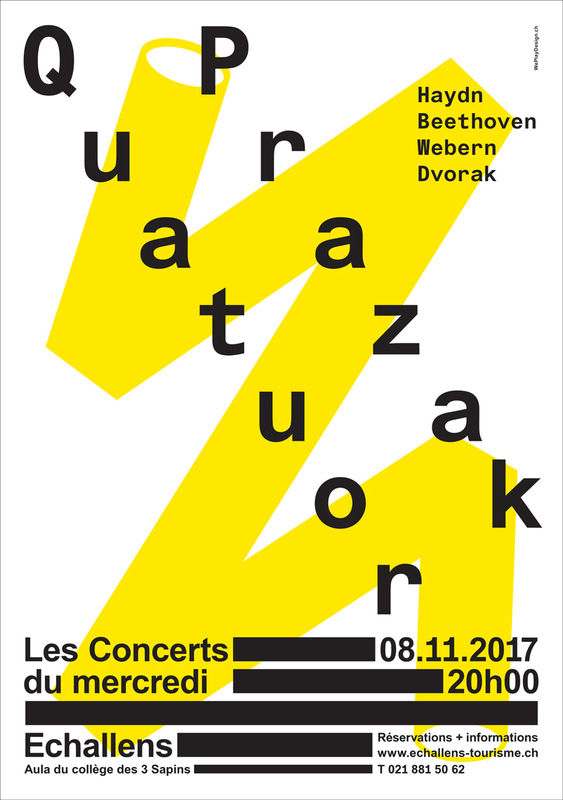 This observation is the starting point of our approach, which led us to develop a generative design to produce a posters series and a program where each copy is unique. 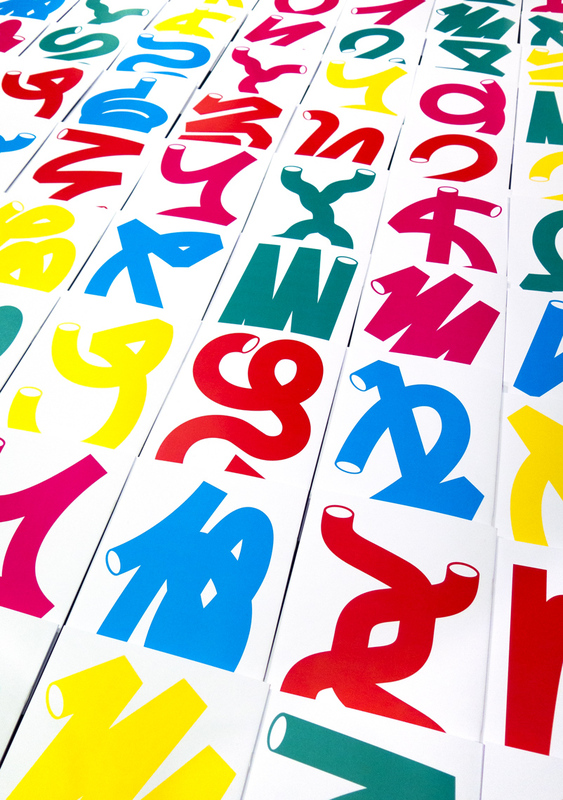 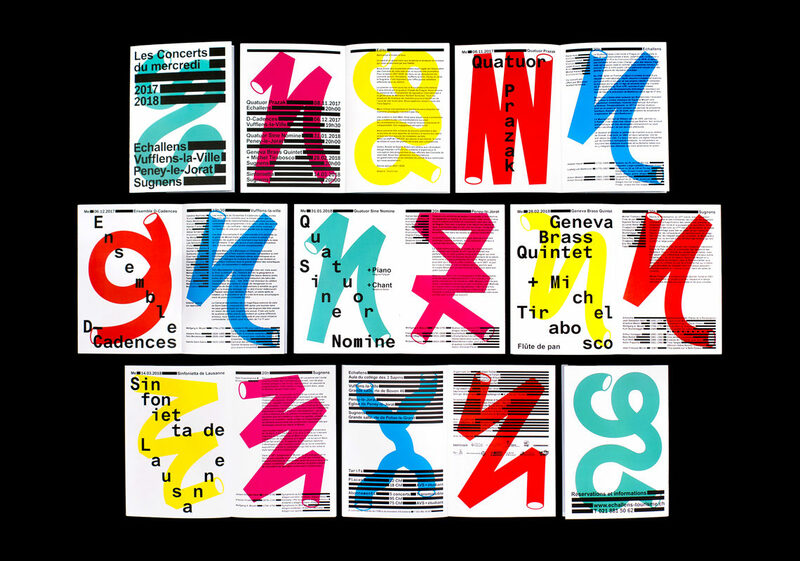 The music and its variations are illustrated by a series of forms representing the idea of movement and gesture. 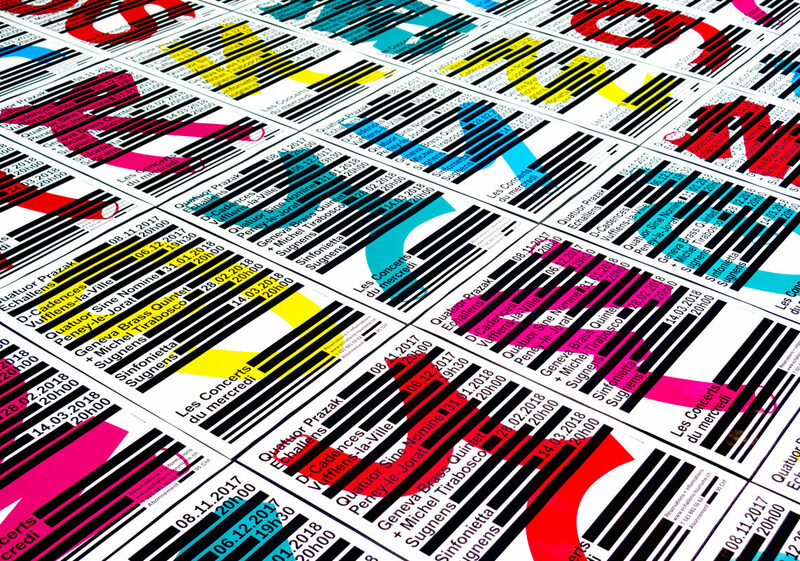 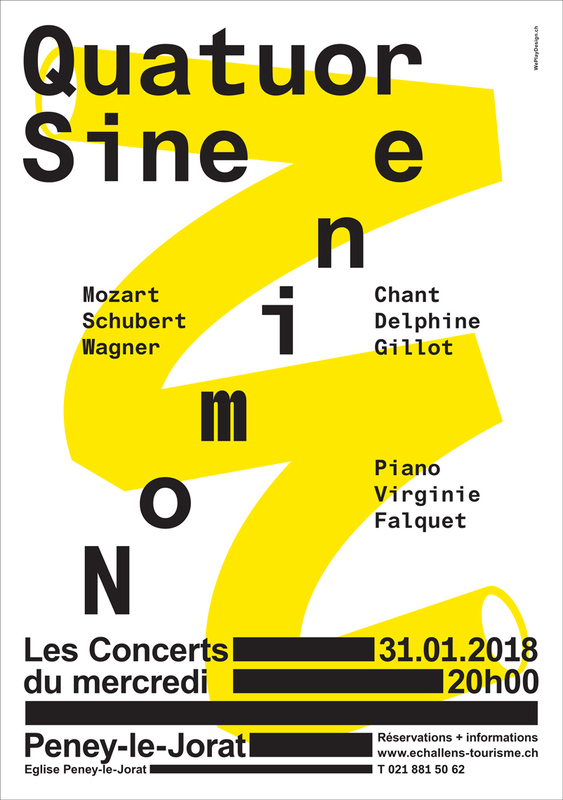 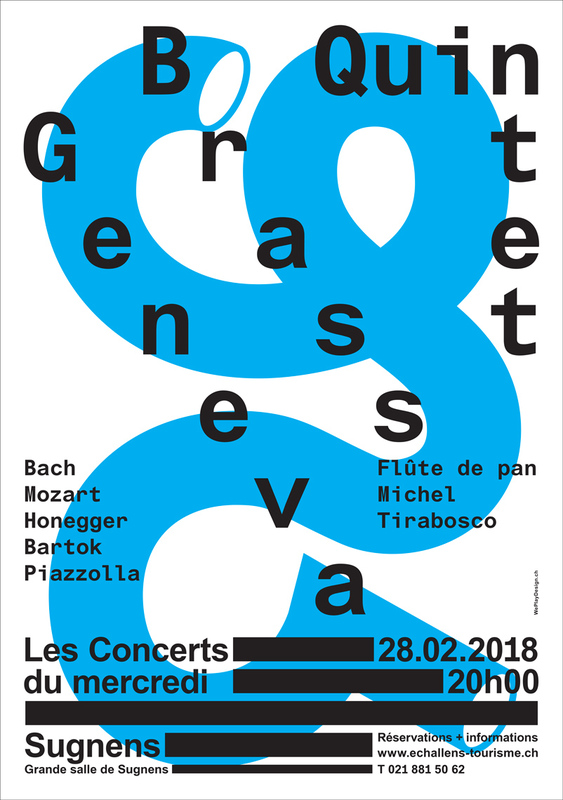 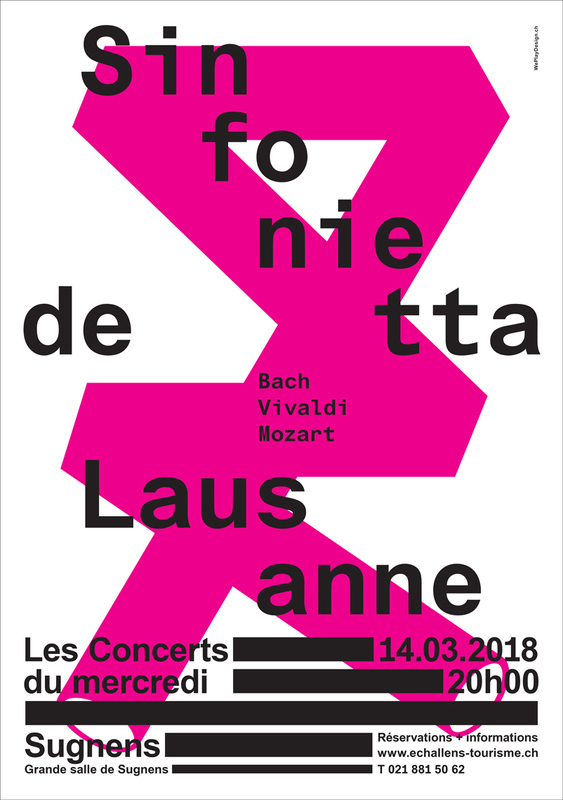 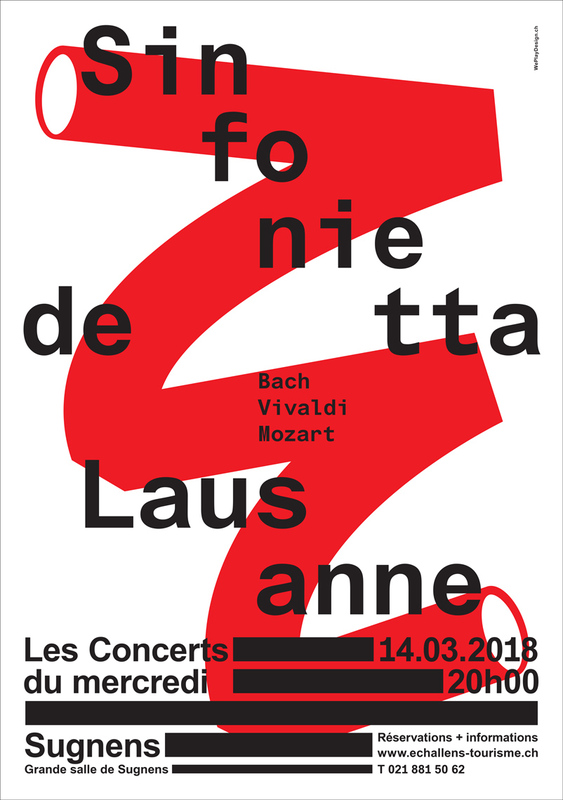 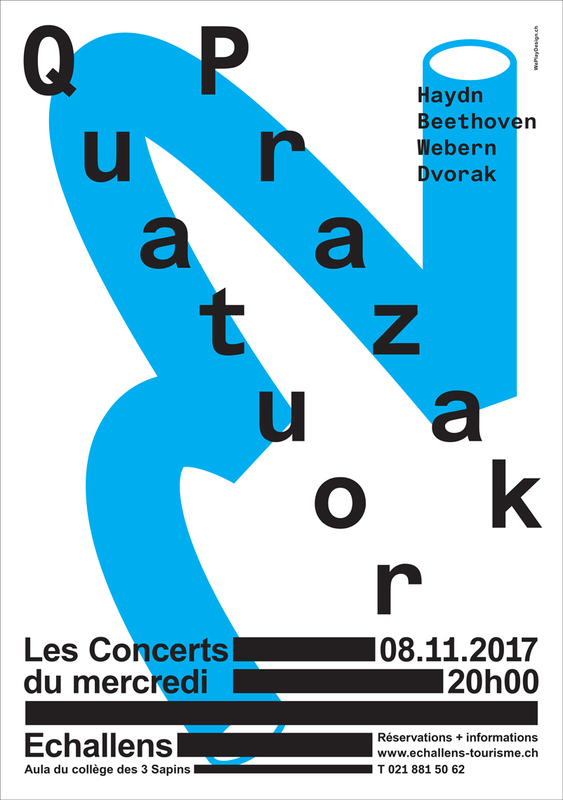 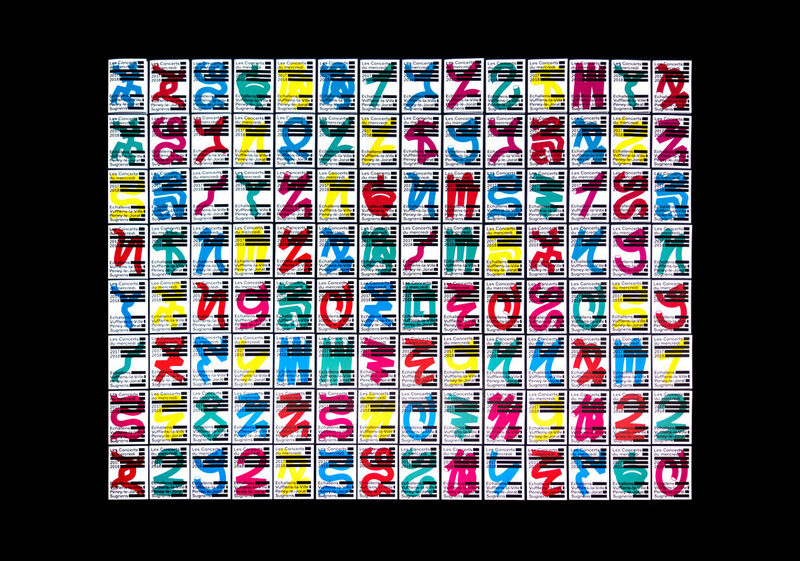 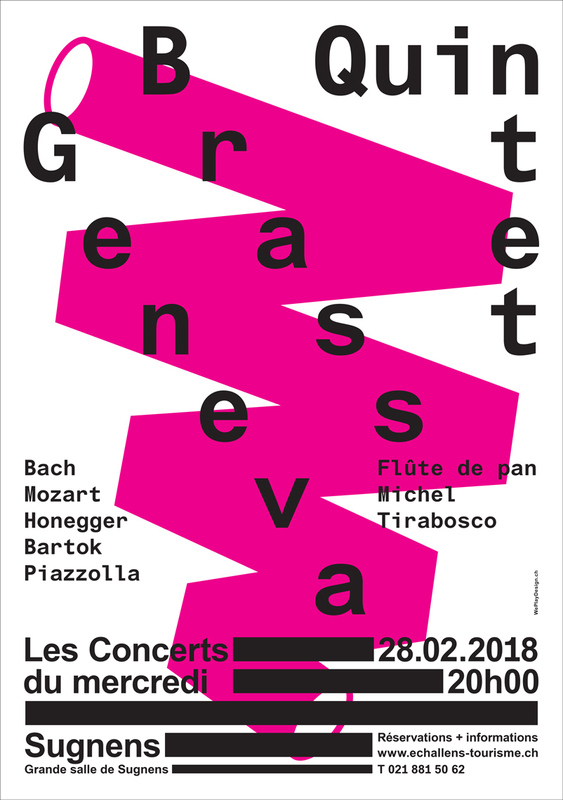 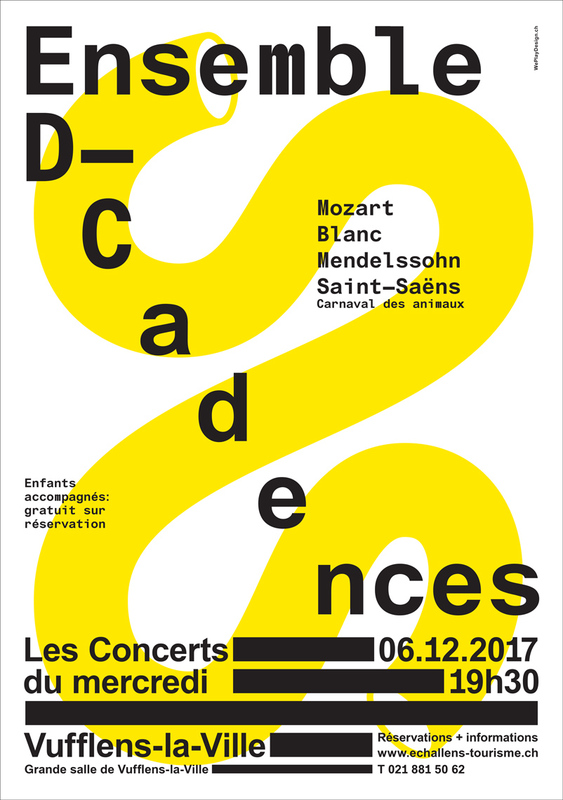 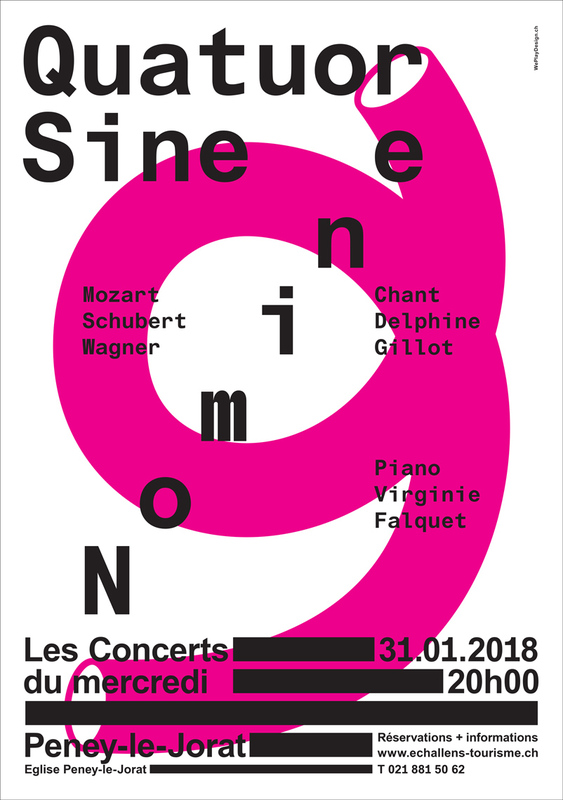 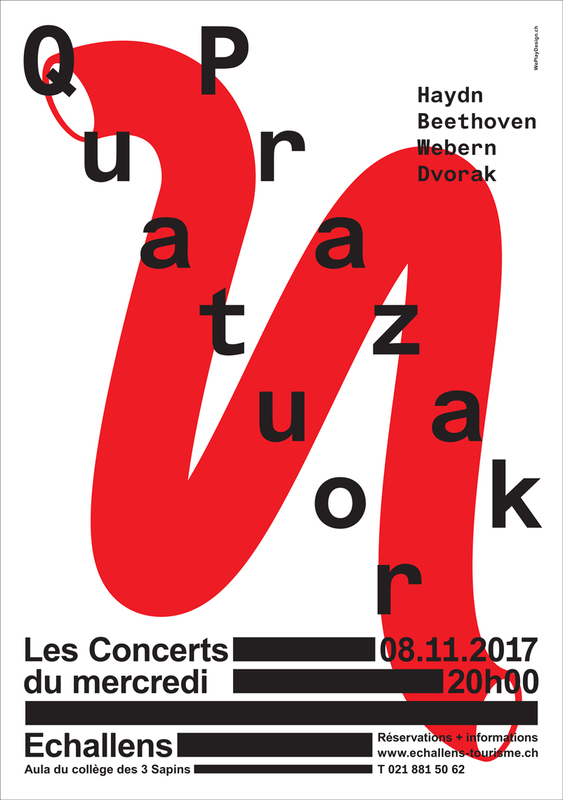 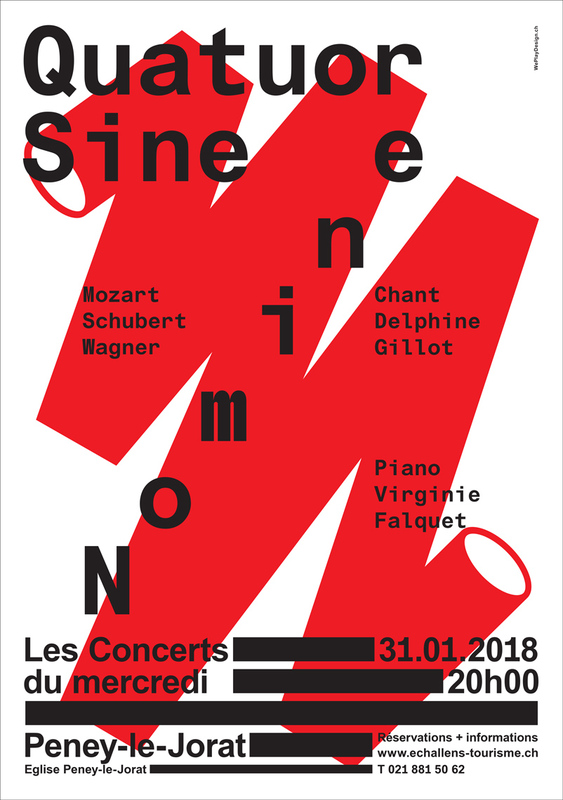 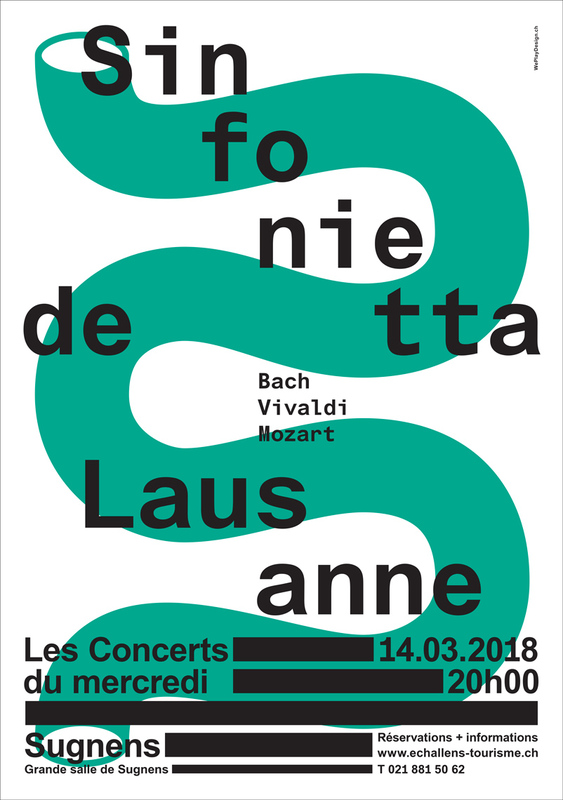 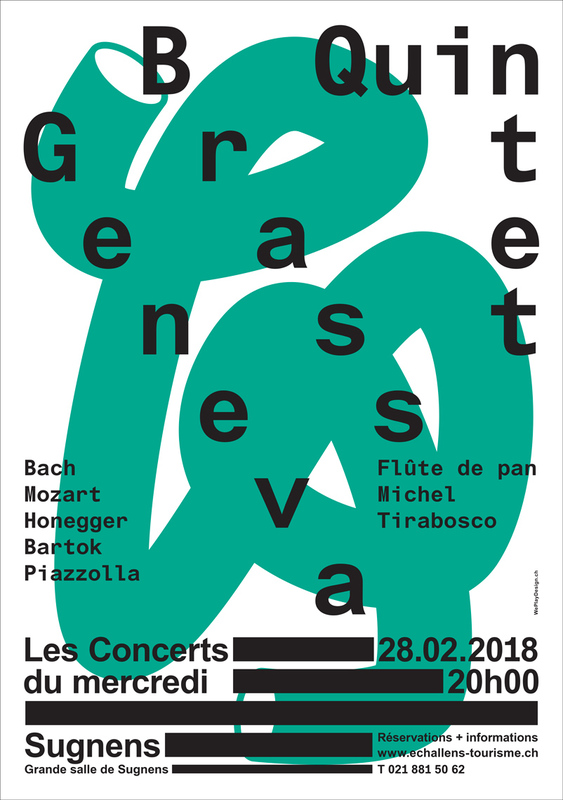 The Poster Series of «les Concerts du mercredi» 2017-18 was awarded by the European Design Awards 2018.